Last month an Australian carrier leaked the release date of the Android 7.1.1 update for Google's Pixel and Nexus devices. It said this would begin rolling out on December 6, and it was right (as it's already December 6 down under). Today Google has published the factory images and OTA update files for the devices it supports directly. 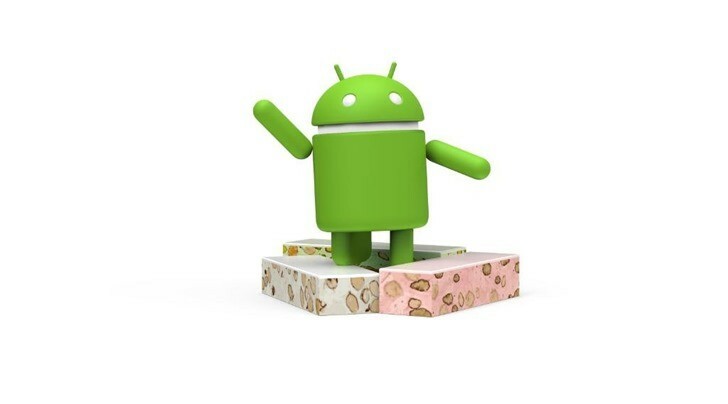 This follows the Android 7.1.1 update's rollout for the General Mobile 4G Android One handset, which began last week. The over-the-air rollout process should start soon, if it hasn't already. As usual with Google updates, it will take many days until all supported devices receive the update notification, so if you're impatient and know what you're doing you can grab the factory image or OTA zip for your particular device and sideload it. If you don't know what any of that means, you're probably better off just waiting for the new software to make its way to your device through Google's staged rollout. Android 7.1.1 factory images and OTA zip files are available for the Pixel, Pixel XL, Pixel C, Nexus 6P, Nexus 5X, Nexus 9, and Nexus Player. It's unclear if the Nexus 6 will get this update at a later point or not at all. For now, it's received new images and OTA files too, but based on Android 7.0. This Android 7.1.1 release includes the December security fixes. The new build number is NMF26O for the Pixel and Pixel XL, NMF26H for the Pixel C, NMF26F for the Nexus 6P, Nexus 5X, and Nexus 9, and NMF26J for the Nexus Player. Oddly, this build is an older version than what rolled out as the final Android 7.1.1 Developer Preview last month, so if you're running that you won't be able to upgrade just yet. We assume Google will release different builds for those who are enrolled in the Android Beta program. When they're coming is anyone's guess, though. All of the Pixel and Pixel XL units should get the double-tap to wake and lift to check notifications gestures that debuted in Canada not long ago, but this hasn't been confirmed yet.